Safety Harbor Fire Chief Josh Stefancic has been honored with one of the fire prevention/suppression industry’s most prestigious awards. Chief Stefancic was recently recognized a with the American Fire Sprinkler Association’s (AFSA) Fire Sprinklers Save Lives award. 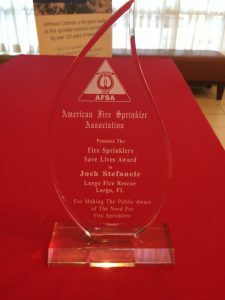 AFSA Florida Chapter Chairman Chris Johnson, CEO of Piper Fire Protection in Clearwater, Florida, and member of AFSA’s Public Education & Awareness Committee presented the award to Stefancic. Chief Stefancic has helped thousands of firefighters understand the importance – and effectiveness – of fire sprinkler technology and fire protection services through his involvement on the executive board of the International Fire Service Training Association (IFSTA). As part of his role with the IFSTA, Stefancic has helped to author and review several training manuals, including “Fire Detection and Suppression Systems,” a guide educating firefighters on the types, arrangements and operating principles of sprinkler systems. The guide serves as a valuable resource for emergency personnel responding to incidents in protected premises. Additionally, as a committee member of NFPA 1700, “Guide to Structural Firefighting,” Stefancic has worked to educate his firefighting peers about the benefits of fire sprinkler inspections, fire protection service, and fire sprinkler installations. Chief Stefancic came to Safety Harbor after a long career with Fire Rescue of Largo, Florida, most recently serving as division chief. He started with Largo in August 2010 as assistant chief of life safety, moving up to assistant chief of emergency management in 2011 and district chief in May of 2012; he was named fire chief of the Safety Harbor Fire Department in June of 2018. He has a master’s degree in fire and emergency management administration and a bachelor’s degree in fire protection and safety technology from Oklahoma State University. Chief Stefancic is also a graduate of the Executive Fire Officer program from the National Fire Academy in Emmitsburg, Maryland. Chief Stefancic’s former post also offered their congratulations via their Facebook page. 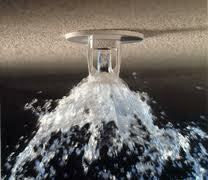 For more information about fire sprinkler inspections, fire protection services, a 5 year fire sprinkler inspection or other services fire sprinkler installation and fire sprinkler inspection companies can provide, call CJ Suppression at 888-821-2334 or visit the website at www.cjsuppression.com. To remember those who lost their lives and honor those who survived the devastating Station Fire in West Warwick, Rhode Island, a memorial service was held on February 20th, exactly fifteen years after the event. Among attendees at the service, the National Fire Sprinkler Association was present to share information about new legislation that can potentially prevent similar fires from occurring in the future. The legislature in question, the Tax Cuts & Jobs Act, recently received several critical provisions that will provide significant tax incentives for property owners to install fire sprinklers. Under Section 179, small businesses will be able to fully expense fire sprinklers, up to a cap of $1 million in each year of expense. This allows for retrofitting and upgrading of numerous properties. Furthermore, any small business that needs to borrow money to pay for the retrofitting will be able to fully deduct the interest expense on the loan. 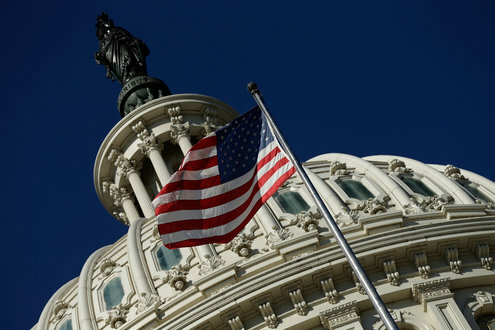 Fire services and other advocates can now promote fire sprinklers and overall improvements to fire protection systems in existing small businesses with the financial support from these provisions. The installation or upgrading of fire protection systems can prevent loss of life, injuries, emotional distress, bankruptcy, and even imprisonment, all of which occurred as a result of the Station Fire. We all know that there are many steps we can take when it comes to fire safety. With the several benefits fire extinguishers provide us with, it’s quite surprising that we don’t appreciate them as much as we should. In fact, the only time we probably think about them is when a fire occurs. And when we really need them, they are nowhere to be found or are unable to perform. Wet chemical extinguisher. Fires that are caused by oil are quite difficult to put out with water, as it floats above the layer. This is where wet chemical extinguishers come in. Carbon dioxide extinguishers. 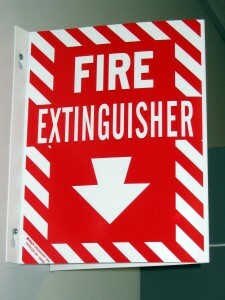 This type of fire extinguisher deals with electrical fires that break out in specific areas. Water fire extinguishers. This type of fire extinguisher is used to extinguish fires that are caused by flammable gases and liquids, as well as electric fires. This fire extinguisher is found in almost every building nowadays. Foam extinguishers. This is the primarily used to tackle fires caused by flammable liquids and solids. This type of fire extinguisher is not suitable for electrical fires. Now that you’ve be a little more informed about the different kinds of fire extinguishers, you’ll feel more at ease choosing the correct equipment if an emergency does arrive. Knowing the type of fire extinguisher could save your life. The importance of fire extinguishers in the home is underrated and undervalued. True, most commercial and industrial buildings are often required to have a certain number of fire extinguishers in its vicinities. However, as far as houses go, fire extinguishers are virtually non-existent. And this is not good news, especially when it comes to your family’s safety. 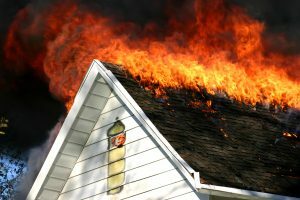 According to the National Fire Protection Association, the United States fire departments responded to as many as 1,451,500 fires. Yes, more than a million in a year. These fires also resulted in the deaths of more than 3,000 civilians, with more than 16,000 injured and an estimated damage of more than 15 million dollars. It’s hard to say just how effective fire extinguishers are based on numbers alone. Even if there are statistics, they’re not always reliable, as not all fires are reported and counted. In fact, a lot of fires aren’t included in many statistical counts, but one could say that the reason for that is not incompetence. Rather, the reason could be that the fires were eliminated before they were even reported to the authorities. Fact is, the only time you’d probably think of a fire extinguisher is when you need them in an actual fire emergency. Even worse is that the only time you’d heard about them is when they’re nowhere to be found. Keep yourself, your family and your house safe by staying prepared and keeping a functioning fire extinguisher inside your home at all times. Two Lake Elsinore men were arrested late Friday, April 28, in connection with a series of fires that were set in the Corona area, police officials said. A total of three fires popped up Friday evening: One on the east end of the Corona Municipal Airport and two more on the north and south ends of the 71 freeway, according to police and fire officials. 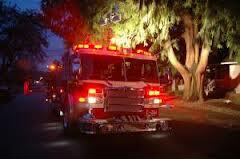 The fire at the airport was reported first at about 11:19 p.m., according to a Corona police news release. Witnesses told police and firefighters that they saw a vehicle possibly shooting fireworks into the vacant field. The fire was about 7 acres when firefighters arrived, but grew to about 20 acres before it was contained, said Corona Fire Department spokesman John DeYoe. He said no structures were damaged and no firefighters were injured. The Riverside Police Department helicopter, Air 1, reported seeing the vegetation fires in the area of the 71. The helicopter flew in closer and saw what looked like aerial flares being fired from a moving vehicle. Corona police officers later spotted a matching vehicle in the area of East 6th Street and Rimpau Avenue in Corona and stopped it. A 20-year-old man and a 19-year-old man — who were not immediately identified — were found inside along with a flare gun and flares, according to the news release. Both men were booked into jail with bail set at $10,000, according to officials. Shortly after midnight Saturday, the fires along the 71 had both been put out, according to a California Highway Patrol incident log. Fires like these are a trend during these warmer months. Protect yourself. 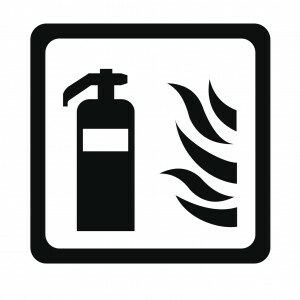 If you would like to learn more about fire protection, contact CJ Suppression Inc. at 888-821-2334 or visit www.cjsuppression.com for additional information. Installing fire extinguishers are essential in ensuring the safety of your business, but knowing how to operate a fire extinguisher is equally important. Without the proper knowledge on how to use a fire extinguisher, your business is at risk of severe fire damage. Fire prevention professionals emphasize that the lack of knowledge on fire extinguishers will lead to a lack of controlling, and more importantly, diminishing a fire. For this reason, CJ Suppression offers onsite fire extinguisher training for any size company to ensure proper protocol in case of a fire-related accident. If you would like to learn more about fire extinguisher training, contact CJ Suppression Inc. at 888-821-2334 or visit www.cjsuppression.com for additional information.